Objectives To perform a systematic review to summarize the role of autophagy-related gene 7 (ATG7) and autophagy in vitiligo. Background Vitiligo is an acquired autoimmune pigmentary disorder due to loss of functional melanocytes. Colocalization studies revealed that the autophagy-related gene 7 has a role in the pathogenesis of vitiligo. Materials and methods Medline databases (Google Scholar, Medscape, ScienceDirect) and all materials published in English language available on the internet from 2007 to 2018. The search was performed on March 2018. All the studies were independently assessed for inclusion. They were included if they fulfilled the following criteria: published in English language, published in peer-reviewed journals, focused on the role of ATG7 in vitiligo. The initial search presented 38 articles which studied the role of ATG7 in vitiligo. If the studies did not fulfill the inclusion criteria, they were excluded such as studies on ATG7 in systemic diseases or skin diseases other than vitiligo, report without peer review, not within the national research program, letters/comments/editorials/news. Comparisons were made by a structured review with the results tabulated. Results In total, four potentially relevant publications were included; there was an association between vitiligo and autophagy marker ATG7. This association was due to premature senescence of melanocytes due to the accumulation of products of oxidative damage leading to pigment dilution. Conclusion Autophagy marker-related gene 7 has a role in the pathogenesis of vitiligo. Objective To collect evidence-based and detailed up-to-date knowledge, using a detailed systematic review of the literature, that is specific to the condition of Ekbom syndrome, also known as delusional parasitosis (DP). This article reviews historical facts, epidemiology, pathogenesis, clinical features, subtypes and related conditions, associated diseases, psychosocial impact, economic considerations and management. Background DP is a psychiatric condition and can be the earliest sign of a major psychotic illness. The condition was first described in the late 17th century in France. The etiology is neurochemical. The classic ‘matchbox’ and ‘specimen’ signs are characteristic. Treatment is via a multidisciplinary approach. Methods A detailed search strategy was utilized across six databases led by prespecified keywords (62 in total), followed by the application of database-specific filters to scrutinize the hierarchy of literature for guidelines, systematic reviews, and randomized controlled trials in addition to medical papers with weak evidence. Results A total of 38 references were used to extract the most relevant data. This article is divided into sections of topics, starting from a methodology to a conclusion. Conclusion This review article will enable the medical researcher to obtain a detailed perspective of the condition of DP. Thus, a researcher can seek the highest evidence to initiate his original research. Background Vitiligo is a common, acquired, depigmenting disorder that results from loss of functional melanocytes in the skin and mucous membranes. It is occasionally associated with autoantibodies against the melanocyte-specific proteins such as tyrosine-related protein-1 tyrosine-related protein-2. These antibodies could induce melanocyte damage in vitro by a complement-mediated mechanism and antibody-dependent cellular cytotoxicity might play an active role in the stimulation and inappropriate expression of HLA-DR and induction of intercellular adhesion molecule-1 on melanocytes. Objective Our aim was to assess the serum levels of different immunoglobulins (Ig) in addition to C3 and C4 in vitiligo patients and to determine their correlation with different clinical aspects of the disease. Patients and methods Serum levels of IgG, IgA, and IgM as well as C3 and C4 were estimated in 24 vitiligo patients and 24 healthy controls using the Radial Immuno-Diffusion (immunoprecipitation) technique. Results Serum IgM levels were found to be significantly decreased and C3 levels were significantly increased among patients compared with the controls. 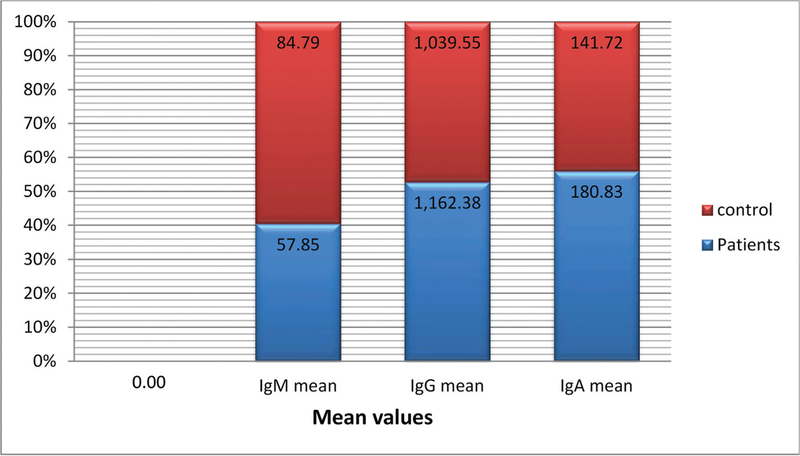 No significant difference was found in the serum levels of IgA, IgG, or C4 between both groups. Also, a significant positive correlation was found between serum IgA levels and the age of the patients, as well as between C3 and C4 and a family history of vitiligo. Conclusion Changes in Ig serum levels might be a cause or an effect in the pathogenesis of vitiligo, as well as alterations in the complement system. These ffindings suggest that altered immunity is to be considered in the therapeutic management of these patients. Background Alopecia areata (AA) is an autoimmune disease characterized by a localized patchy hair loss from scalp and other hairy body parts. The association of abnormal levels of vitamin D in patients of AA is controversial. Assessment of serum vitamin D depends on measurement of 25 hydroxy vitamin D [25(OH)D], not measuring the active form 1,25 dihydroxyvitamin D. Objectives The aim of the study is to measure serum 25(OH)D levels in patients with AA and to correlate them with the severity of the disease. Patients and methods A total of 20 patients with mild to moderate (AA) and 20 healthy persons as controls were involved in this study. 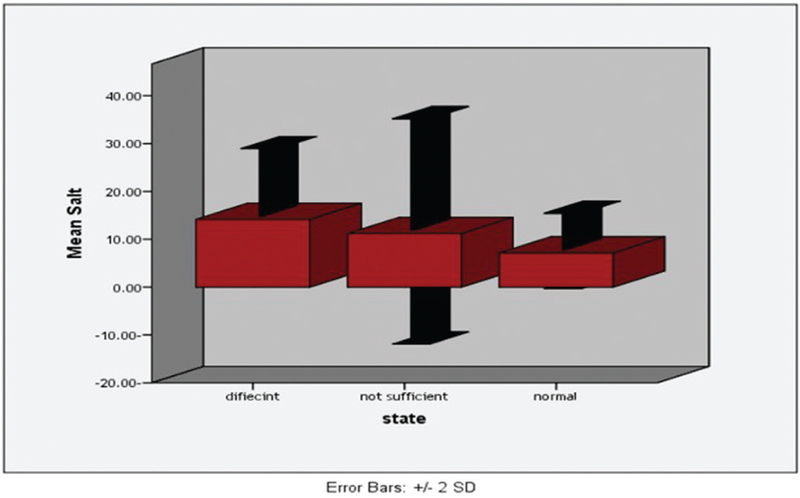 Serum 25(OH)D levels of both patients and normal controls were assessed using electrochemiluminescence. Severity of Alopecia Tool (SALT) score was calculated for all patients with AA involved in this study. Serum values of 25(OH)D in patients with AA were compared with the values in the healthy controls. Correlation was done between SALT scores and serum levels of 25(OH)D in the patients with AA. Results Serum 25(OH)D levels were significantly lower in the case group in comparison with the control group. In this study, we found a significantly higher SALT values in correlation to the deficient serum 25(OH)D levels in the case group. Conclusion Deficient serum 25(OH)D may be a serum marker of increased severity of AA. Objective In breast cancers treated with radiotherapy, the epidermis, dermis, and vascular structures are destroyed at the cellular level with inflammatory processes. In this study, it was aimed to evaluate the changes in the skin associated with radiation dermatitis in women with breast cancer. Patients and methods Forty-four women with breast cancer, who received radiation therapy were included in the study. Patient information including the demographic and clinic data were recorded. The field of radiotherapy was evaluated macroscopically and by dermoscopy. Results In 84.1% of the patients, radiodermatitis at a grade of 1 or more was found. In patients to whom a bolus was applied, hyperpigmentation and reticular pigmentation were more frequent but conserved areas were found less frequently. The conserved areas were significantly more frequent in patients with more advanced ages (P=0.038). 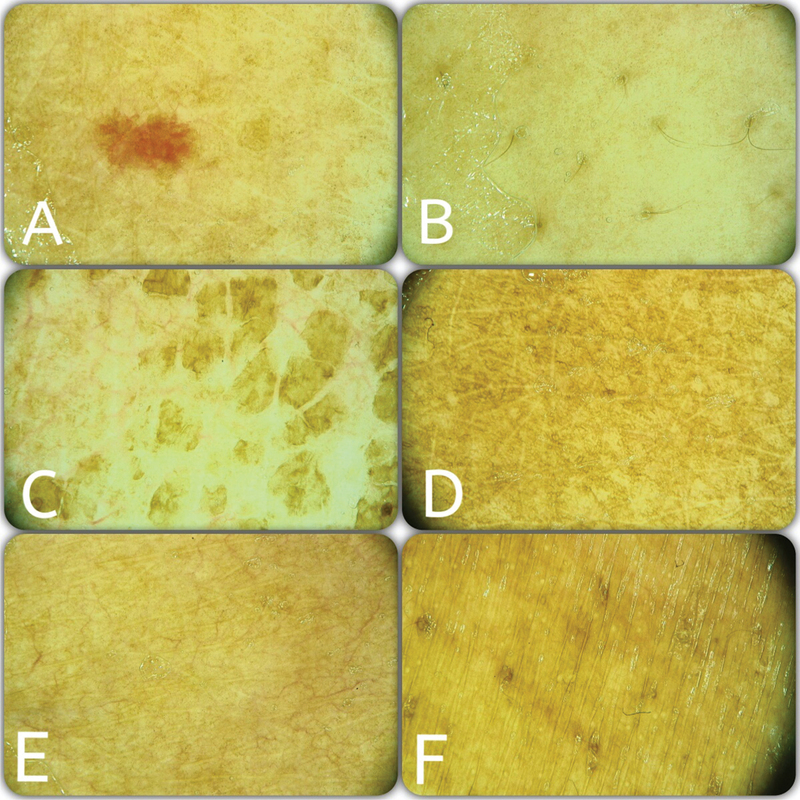 The patients with visible erythema had multiple milia-like cysts and perifollicular pigmentation on dermoscopic evaluation. Conclusion The use of dermoscopy will provide more information regarding skin toxicity associated with radiotherapy, contributing to the macroscopic evaluation. Objective The objective of the study was to assess the quality of life (QoL) in patients with androgenetic alopecia (AGA). A secondary aim was to determine the correlation between dermatology life quality index and willingness-to-pay (WTP) among subjects of different disease duration, severity, and socioeconomic factors. 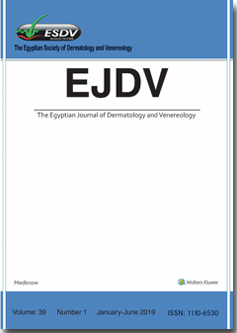 Patients and methods A self-administered multiple-choice questionnaire distributed to subjects diagnosed with AGA attending the dermatology clinic at three specialized hospitals in Riyadh from June 2016 to March 2017. Results Of the 233 subjects, 207 (88%) completed the questionnaires. The dermatology life quality index scores ranged from 0 to 29, with a mean score of 7.8±5.8 indicating a moderate effect on QoL. In 28.5% of subjects, QoL was affected very large to extremely large by AGA. Women showed a significantly higher WTP than men (P<0.001). Conclusion The present study suggests a moderate effect of AGA on the QoL. AGA impact women more than in men and women show more WTP than mem. More studies should pay more attention on the psychological status of patients with AGA. 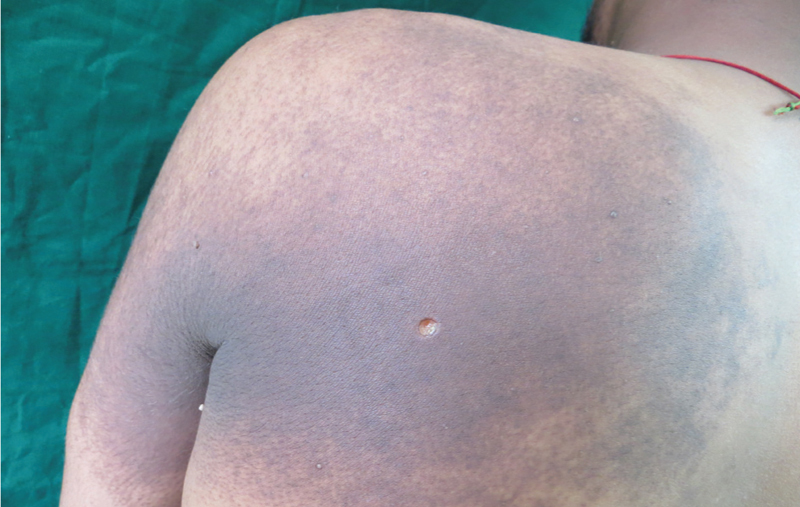 Hailey–Hailey disease, also known as familial chronic benign pemphigus, is characterized by flaccid blisters and erosions, especially in the axillary and inguinal areas. 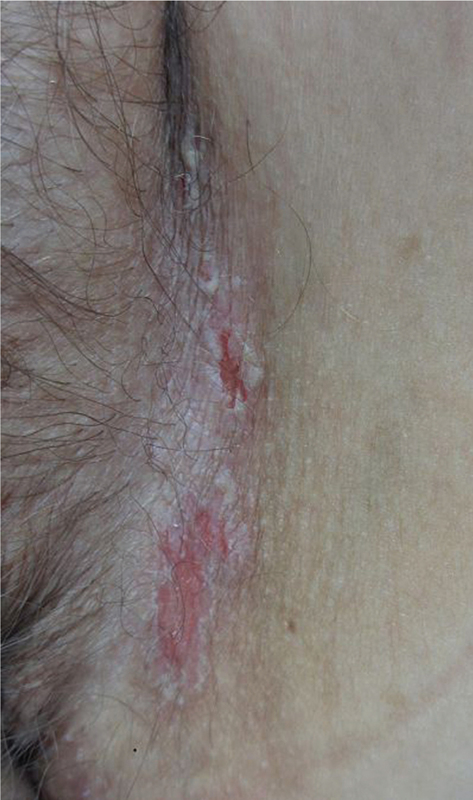 Friction associated with local factors, such as heat, moisture, microbial colonization, and secondary infections induce the typical appearance of the lesions, especially in intertriginous areas. Traditionally the treatment is done with corticosteroids associated with topical or systemic antibiotics. 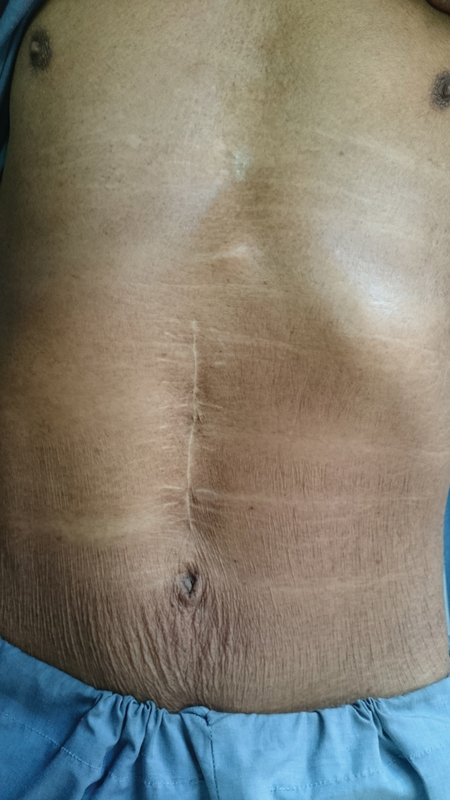 We report the case of a patient with the disease presenting in the inguinal region, which has made use of different conventional drug treaments for 20 years without results. It was a proposed treatment with application of botulinum toxin type A showing significant improvement after about 20 days. The satisfactory response has been linked to the decreased local sweating caused by botulinum toxin. It would lead to a less local irritation factors and lower colonization of microorganisms. Papuloerythroderma of Ofuji is clinically characterised by generalised intensely pruritic eruption of flat topped red to brown coalescing papules with sparing of skin folds and creases. It usually presents in elderly and is associated with malignancies, infection and drugs. Here we report a case of Papuloerythroderma of Ofuji with characteristic clinical features but with no underlying malignancy.